Pot now glazed in bright orange glaze. 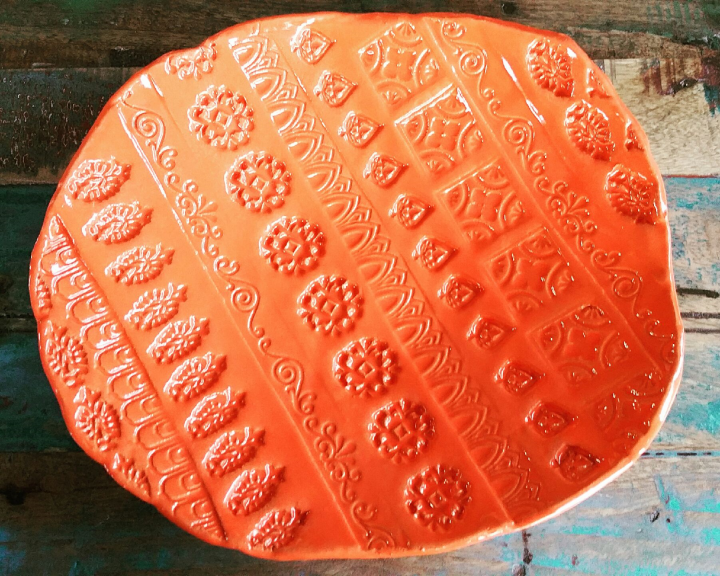 This entry was posted in Ceramics and tagged Ceramics, Handmade, Handmade plates, Pottery, Slab Pots, Stamps for Clay. Bookmark the permalink. Great colour – like the stamps too!